Today’s workplace is about to go through massive change, on a scale we have not seen before, as robots start to replace human workers at an unprecedented pace. 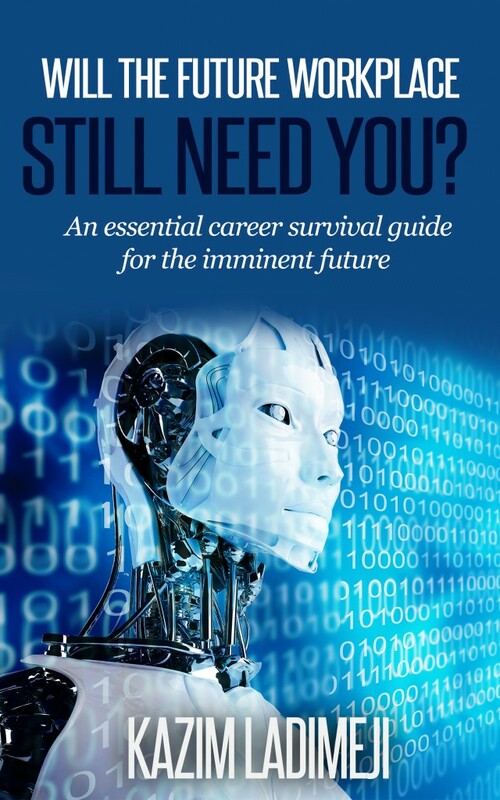 Your job is probably at risk of being replaced by a robot, but, to be sure you should read this book, which pulls together some of the latest research and thinking into this topic. By the end of this book you will know just how at risk your job is of being replaced by a robot. You will know if the future workplace will still need you, or if you’re in a career dead-end. In order to ensure the future workplace still needs you, you’ll need to see if you are in a high risk area in terms of job replacement by robots, and if so you will need to move into an area that is immune to robot automation. This book tells you how to do exactly that. If you want to ensure that you are not a corporate casualty of the future and you want to ensure that the future workplace still needs you, buy this book today. The author is a MCIPD-qualified and practising HR specialist, and this essay is his warning of things to come, call-to-action and careers guidance book, all rolled into one. Kazim Ladimeji is a graduate of Sussex University in the UK, where he studied Biochemistry and Neuroscience. Kazim is also a qualified member of the UK’s Chartered Institute of Personnel and Development. Kazim is currently a practising Human Resources (HR) Consultant, and has worked as a HR professional for eighteen years within the technology and market research sector. Since going freelance four years ago, Kazim has branched out by developing his own successful HR and careers blog: thecareercafe.co.uk, and is a resident writer for the leading US recruitment journal: recruiter.com, with one of his articles having been published in Time Magazine. Kazim is also an occasional research analyst for the bestpracticeinstitute.com. 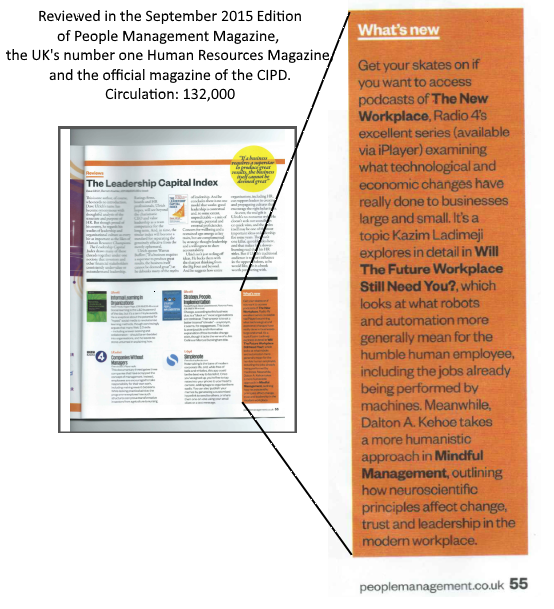 Kazim writes about careers and HR topics and specialises in workplace futurology and new ways of working.